After buying and installing the theme from ThemeForest, registering your theme is an important step to ensure you will receive valuable theme updates that include new features and keep your website secure. If you already have an Envato Personal Token go ahead and register your theme. Enter your personal token and register your theme from Enfold > Theme Update > Enter a valid Envato private token. If the token you entered does not have the proper permissions or is entered incorrectly you will notice an error message as seen below. You can try some simple troubleshooting steps to resolve the issue. If you do not have a personal token please continue reading this post, we’ll walk you through the steps to create an Envato personal token and register your theme. What is an Envato personal token? A personal token is required to link your Envato Account to your theme and verify your purchase to receive future theme updates. Until now Envato used API keys to handle the ThemeForest and CodeCanyon product registration and update notifications. For better service, Envato has decided to deprecate its old API key and move towards registering the products using a personal token. Since the old Envato API will soon be shut down, we recommend registering your Enfold theme version higher than 4.4.1 using the personal token to receive future theme updates. In Enfold version 4.5 or higher, you will no longer notice the old API key and Envato username options. 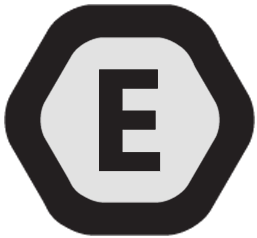 The old API is supported for backwards compatibility by Enfold until the user adds the private token. The old username/key are displayed in read-only input fields and are completely removed from DB when the private token is entered. Instead, you will be asked to enter an Envato Private Token and register your theme. NOTE: If you already registered your theme using the old API key and Envato username in Enfold 4.4.1 or previous versions, you’ll need to re-register your theme using the new Envato personal token. How to generate a Envato Personal Token? Before we start please make sure that you log in to your Envato account with the same username from which you have purchased the theme and follow the step by step guide to generate a personal token. 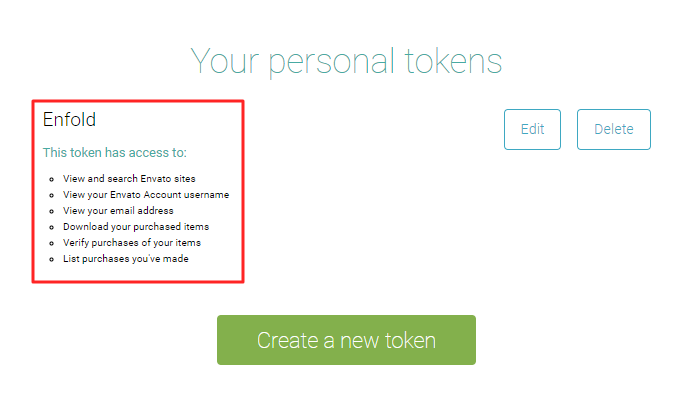 To generate your personal token, go to Envato create a token page. If not logged in please use your Envato credentials. 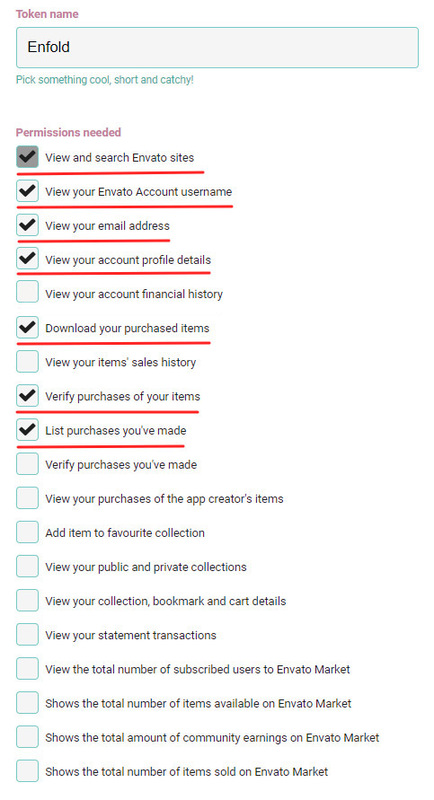 Your Token needs specific permissions to verify the purchase and link your Envato account to the theme. Before you create a new token the following should be selected from the list of permission available on the Token page. You will notice a similar screen when you access the token page. After selecting the required permissions, read the Terms and Conditions and agree to create your new token. Once you click on Create Token button a new screen will pop up with a Success! message and a Private Token. Copy and save your token on your local system. Confirm you’ve copied it successfully and click the Woohoo! Got it. button to complete the Token Creation. After completing the steps above, you are now ready to register your Enfold theme. 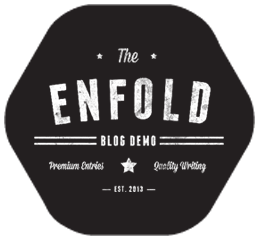 Go to Enfold > Theme Update > Enter a valid Envato private token and enter your token. Your Token should be kept private just like any of your passwords. Please do not post your token in a public forum, it can actually be misused by others. 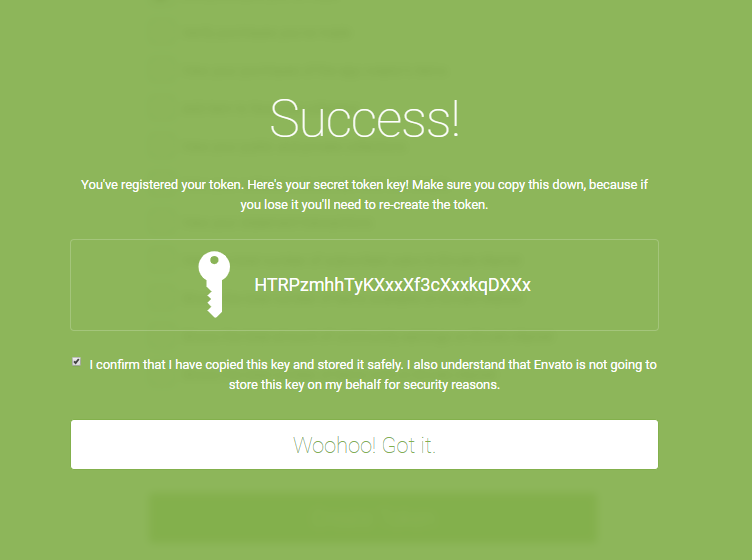 As Envato does not store your Token key please save it in a secured place so you can access it if necessary and use it in case you have to reinstall the theme and register again to receive updates. In the worst case, if you lose the token key, you can create a new Token and re-register your theme. Once the token is created you can only edit the permission or delete the token key. If you are unable to register your theme using the newly created Token key, please follow the below steps. Verify your Token is not missing any characters when you copy it from the source. Go to Envato account and recheck your token permission. Create a new token and try again. Install the Envato market plugin and set up your token key to get new theme updates. If you still have an issue please open a support ticket.